Pages 2-5 should be laminated. The small images on pages 4-5 should then be cut out. Velcro should be attached to the squares on pages 2-3 and at the back of all cut out squares from pages 4-5. With a teacher/SNA working with a pupil, pages 2-3 are placed on the table. 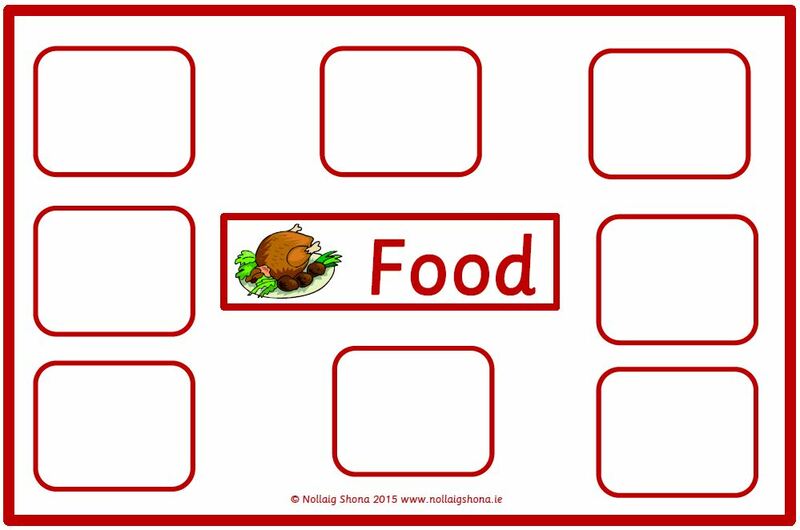 The cut-out images could then be handed to the pupil one at a time and ask them what it is and to place it on the correct sheet. When the pupil is achieving success with this, more than one image can be handed to them at a time. 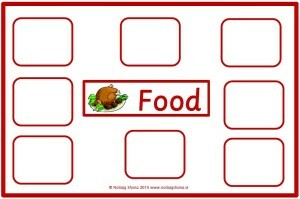 Eventually, all 16 images could be handed to the pupil at once to sort. There is a reference image in the centre of each category page to assist pupils. Image borders are also colour co-ordinated to assist with categorisation.